Growing Up in Ireland – the National Longitudinal Study of Children, held its tenth annual research conference on Thursday 8th November 2018 in the Gibson Hotel in Dublin’s docklands area. 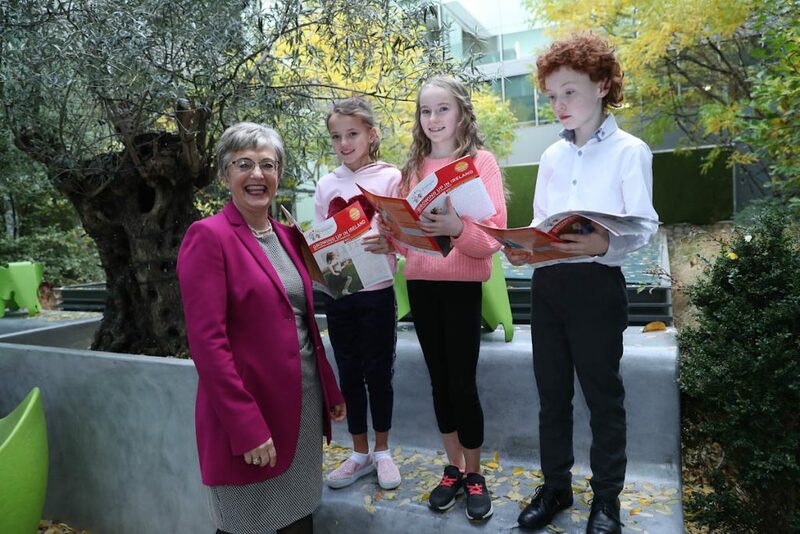 The conference focused on research based on Growing Up in Ireland (GUI) data, and also included the launch of the latest key findings on the Infant Cohort/Cohort’08 at 9 years by Minister Katherine Zappone. An updated programme (6/11/18) is available here. The book of abstracts is also available to download. The Keynote address at this year’s conference was delivered by Professor Ingrid Schoon who holds the Chair of Human Development and Social Policy at the Institute of Education, University College London, is a Research Professor at the Social Science Centre in Berlin. She has published widely, including a monograph on ‘Risk and Resilience’ (2006), co-edited books on ‘Transitions from School to Work: Globalisation, Individualisation, and Patterns of Diversity (2009) with Rainer K. Silbereisen, ‘ Gender differences in aspirations and attainment: A longitudinal perspective’ (2014) with Jacquelynne Eccles, and ‘ Young People’s Development and the Great Recession: Uncertain Transitions and Precarious Futures’ (2017) with John Bynner – all published by Cambridge University Press, and a book on ‘Pathways to Adulthood’ with Rainer Silbereisen with UCL IoE Press. In total, 23 papers using GUI data were presented at the conference, along with an introductory launch presentation, a keynote address and a policy session. The majority of the conference presentations have been made available online; links to these individual presentations can be found below. *please note that due to a late change in the schedule, Emer Scott moved from Session I to Session A, replacing Elizabeth Doyle. Enquiries should be sent to gui.conference@esri.ie.